Take your baked cupcakes and add frosting and sprinkles. 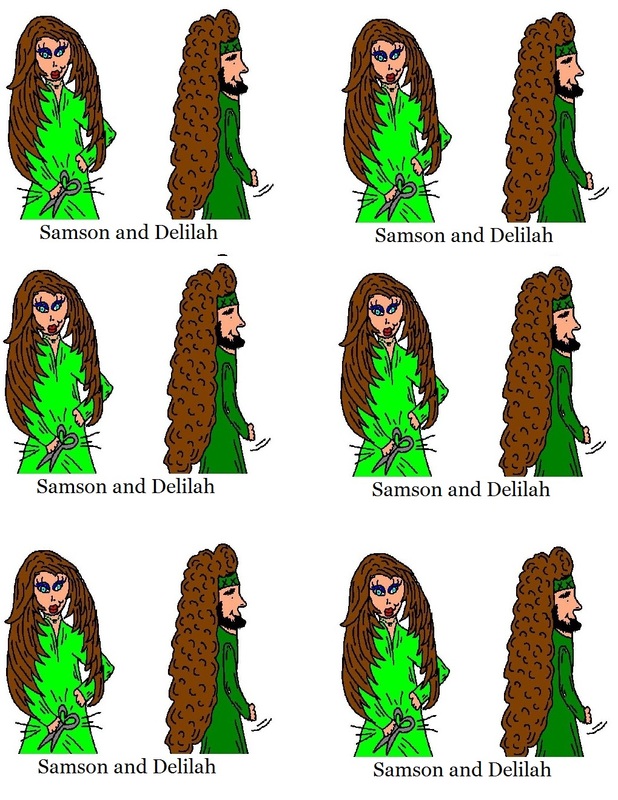 Print Samson and Delilah template and cut it out. Tape to toothpick and stick down in cupcake. Teach the kids a lesson on Samson and Delilah. Take these cupcakes for Sunday school or Children's church.